Do you want to believe? Then hang out with Mulder! 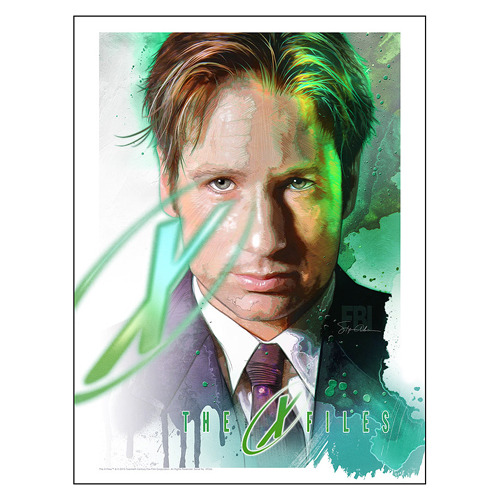 The X-Files I Want to Believe by Steve Anderson Lithograph Art Print features an image of David Duchovny as FBI Special Agent Fox Mulder, giving an intense stare with the X-Files logo beneath. A limited edition of 395 hand-numbered pieces, this beautiful piece of artwork measures 24-inches tall x 18-inches wide and comes with certificate of authenticity.